Series 375, 500, 750, 1000, 1250, 1500 and 2000 Heavy Duty Mechanical Float Valves are used in commercial, industrial, and agricultural applications for controlling high capacity water flow and can be tank wall-mounted. 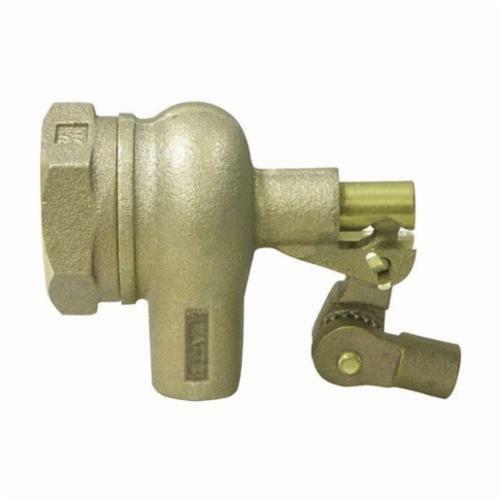 It has a bronze body construction with a machine flange on the inlet side (sizes 1 to 2 in. (25 to 50mm) have female NPT pipe threaded inlet connection), and male straight-pipe threaded for locknut on the outlet side. It has serrated arms for easy adjustment of water level, bronze long and short arms, replaceable seals, and no-jam single lever action. This series is ideal for use in air conditioning, refrigeration, and irrigation systems.